Anyone who follows me on twitter got a heads up about this post yesterday. 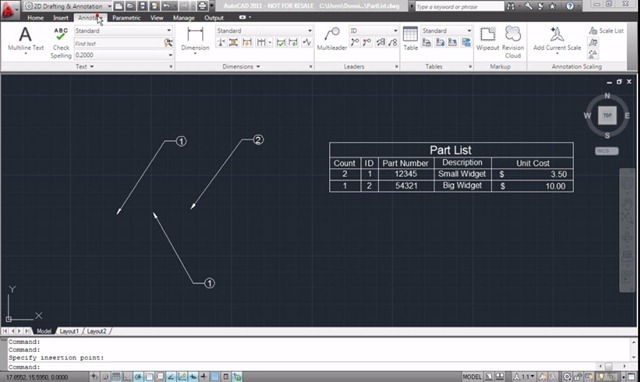 Ever since its introduction in 2008, Excel table linking has been one of my favorite features inside AutoCAD. Likewise, it seems I’m not alone with that notion, as my posts discussing AutoCAD and Excel interoperability are consistently some of my post popular posts here at The CAD Geek. Another one of my personal favorite features inside AutoCAD are Data Extraction Tables. 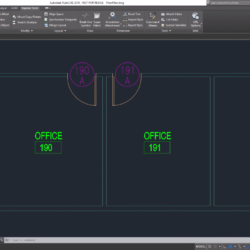 The idea is that you can get AutoCAD to create a dynamic table from the information contained inside your drawing or drawings (yes Data Extraction tables can work with multiple drawings – very cool). As you may have noticed, there hasn’t been much activity here on The CAD Geek since AU. The reason for that is quite simply I have been on vacation since December 13. Today however was the end of my three-week break from the office, and gasp; AutoCAD. As much as I love to play with and explore the depths of AutoCAD, I must say my vacation was a much needed break from CAD. But now that I have returned to the office and the holidays are behind us, I shall also return to this, my humble corner of the blogosphere. I must admit, after taking a 3-week break from AutoCAD it was hard to think up a blog topic, but I remembered a post from August titled “Dynamically Aligning Your Blocks”. It was with that post I realized how few posts I had about the most versatile Dynamic Blocks. It’s a fundamental law of AutoCAD Blocks, blocks shall have an insertion point. And frankly, this is a good thing. 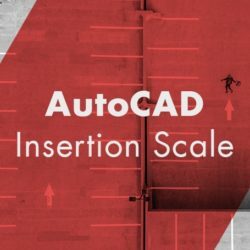 Sure, AutoCAD needs to know this location so it can remember where you placed the block, but face it – you need this insertion point too. When drawing blocks we’re taught to place this insertion point in a meaningful location. Maybe it’s the face of a curb in a civil plan, or a wall in an architectural plan. 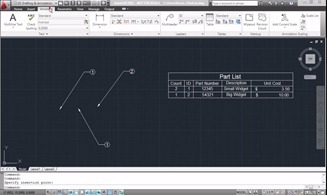 POST UPDATED: We’ve authored an updated version of this post using AutoCAD 2016. The updated post includes a video demonstration of the process discussed in this post. My post titled “Quickly Link Excel Tables to AutoCAD” from last August continues to be one of my most popular posts to date. As a result I have received a number of e-mails from readers such as you asking about other ways to link Excel data with AutoCAD data. 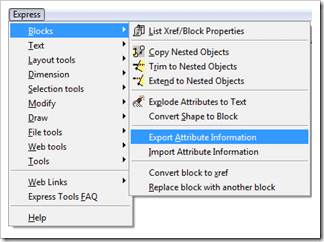 A popular variation has been asking about a way in which you can link Excel data with AutoCAD Block Attributes. Since Block Attributes function much like a database form, it seems logical that we should be able to use Excel as a data source for those Block Attributes. Sadly there is not a true “Link Block to Excel” command (to my knowledge) within AutoCAD. That however does not mean there’s no workaround to the situation! I originally developed this workaround back in the days before Sheet Set Manager. At the time I was working on a two-part project, each of which consisted of more than 100 sheets. The kicker was that we had to include the station range of the alignment being illustrated on each plan and profile sheet. Of course, as luck would have it, our road alignments were constantly changing in the early phases of design, consequently making our sheet titles incorrect. I thought to myself – there has to be a better way! After a little digging around I found two Express Tool Commands which caught my eye; ATTIN and ATTOUT. Using these commands in conjunction with one another I was able to export a text file containing my attribute values, bring that text file into Excel to change and manage values, finally importing that text file back into AutoCAD. Admittedly the process is a little rough around the edges, but at the end of the day – it works!